We are a family run business that my grandfather Russ Howard started back in 1961. He founded the company to provide the local Annandale MN community with a plumbing, heating and air conditioning service that was personal, honest and dependable. Eventually my father Marv took over the company and expanded to offer a wider range of services. Now I run the family business and continue to deliver the same level of trustworthy service that my grandfather and father have provided to our community for well over 55 years. Howard’s Plumbing, Heating & AC, Inc. is constantly improving by adding new technology and products that increase your comfort, reduce maintenance, and lower your monthly energy bills. 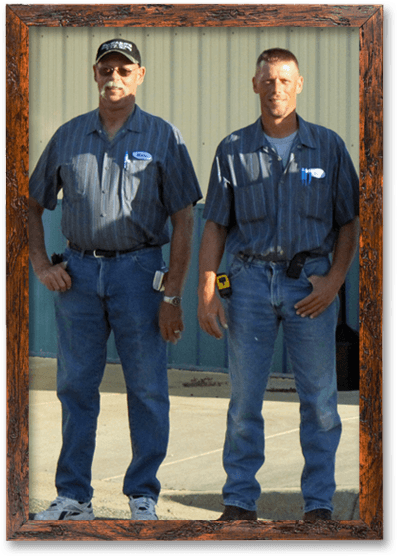 I promise that when you need us, we will be there to service and improve every aspect of your homes plumbing, heating and air conditioning systems. We appreciate the opportunity to earn your business and your friendship, and we work hard to do it every day. Lake Cabin Start-Up & Winterization, Air Duct Sealing, Tankless Water Heaters, Water Softeners, Iron Filters, Plumbing Installation & Repairs, Furnaces, Central Air Conditioners, Ductless Air Conditioners, Boilers, Radiant Floor Heat, Off-Peak Heating, PLUS we will help to solve whatever problem you have with your Plumbing, Heating or Air Conditioning. We are located in Annandale, Minnesota and generally cover a 30 mile radius of the area for most of our service work; however we will travel farther to install plumbing, heating and cooling systems. If you have a question about our services or coverage area, call us at (320) 274-8913 or click to send us an email. Copyright ©2006- Contractor's Marketing, LLC.